A Reliable Server ODT Converter! You are here: CoolUtils > Total Doc Converter X > A Reliable Server ODT Converter! Ability to setup any UI you need. In default package for this ODT converter no GUI is provided. Being a development kit it serves as a basis for developing your own applications with converting functions. It can become a part of your web service, or be a server application for local commercial needs. A graphic interface can be integrated with the help of ActiveX. In this case server OpenOffice converter will interact with users via graphic shell that makes it more comfortable for use. 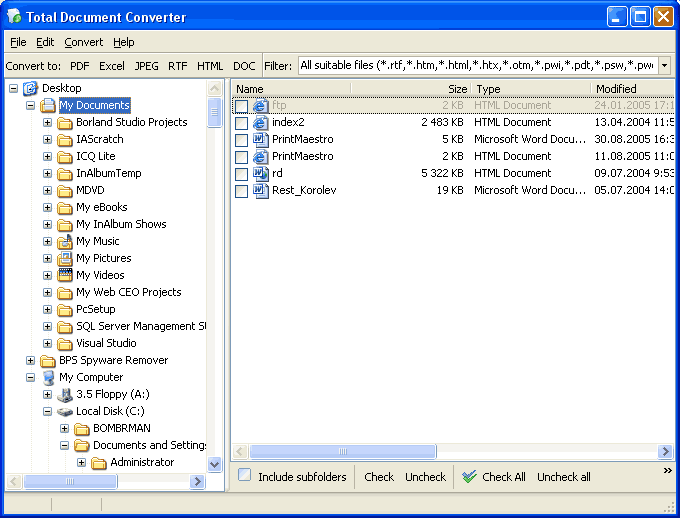 Total Doc ConverterX is capable of converting many ODT files at once. There is no need to send conversion command for each file. Converting all OpenOffice files by one single command is much more time-efficient. Moreover, in such a way the same formatting settings will be applied to all ODT originals. The options are specified by ODT converter command line parameters. Automatic file conversion is possible if to pair Total Doc ConverterX with Total Folder Monitor. This utility checks for new files arriving to a folder and converts them automatically according to the settings specified by admin. This can be done on regular basis, so any manual work is required. The programs works fully automatically. Being originally an ODT converter for server, Total Doc ConverterX can be used as a basis for any server application that requires ODT conversion function. The code samples will help to understand how it is integrated into C# code. 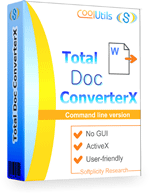 Download Total Doc ConverterX here and use for 30 days for free.